Q: Why don't the Bandits just leave them alone? The village was clearly well defended and armed. Q: Who is the best Samurai? Q: Is 'Seven Samurai' based on a book? I discovered 16 of Kurosawa's best known films before returning to the one which is commonly thought of as his masterpiece. Seven Samurai is unlike any other grand classic ever produced. It's basic plot can be summed up in a single easy sentence, yet its refinement and execution rival any movie you've ever seen. 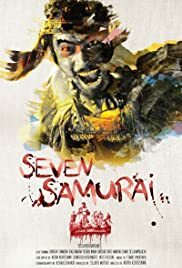 The premise: in chaotic 16th century Japan, as marauders threaten raid villages, one village hires samurai to defend it from a group of bandits. Yet Kurosawa (also co-writer) developed these characters in a way unheard of for what might pass as an epic action film. 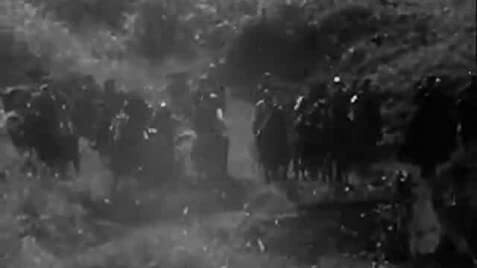 To its astonishing credit, through all of its 207 minutes running time, Seven Samurai never falters or bores. 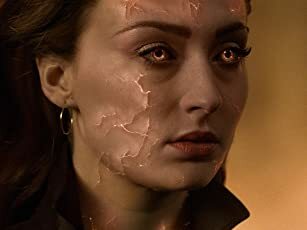 And if the script is a marvel in itself, the acting and production design than derive from it are nothing short of superlative. It is said that Kurosawa forced the villagers (from supporting role to mere extra) to live together as a community during production and be their characters, each and every one of which he had drawn out specifically. This unusual technique gave Seven Samurai a feel of authenticity unparalleled in film history. The samurai themselves are so richly given life to in the screenplay that little more would have been needed to make them memorable characters, yet the main cast pay off at every turn, and though every one of the seven main actors give in perfect performances (never as I had feared before watching it do you confuse them, even in the chaotic battle scenes), two immortal roles have a particularly resounding effect: Takashi Shimura (Kambei Shimada), who plays the leader of the ragged band of samurai, gives his sage and venerable warrior a god-like intensity that makes the magnetic charisma of his character unquestionable. One of the easiest leaders to root for in all the history of film-making. Stealing the show however, albeit by a very thin margin, is longtime Kurosawa favorite coworker Toshiro Mifune (Kikuchiyo) as the rogue seventh, the black sheep of the herd, giving the bravura ultimate performance of a lifetime paved throughout with great roles. The story follows them and the villagers, equally nuanced and developed, through their encounter, training, eventual bonding and the big inevitable fight for survival. Unlike subsequent very successful remakes (i.e. Magnificent Seven), seven Samurai transcended excellency by having many layers (nothing or no one is white or black: everything exists in shades of gray) and thus being very real and human. Even without the menace, its interpersonal dynamics would have made it perfect human drama, subtle, balancing comedy, intensity, realism, drama and a deep philosophy with astonishing ease, yet the menace does materialize and thus Seven Samurai unleashes its violence in a series of action scenes crafted with such vision and ingenuity as has ever reached an action film (the frenetic battle scenes at the end rather evoke Saving Private Ryan in their relentlessness). In the end, what made this into solid gold was, at the core, Akira Kurosawa, who would, despite directing many further masterpieces (Throne of Blood, Yojimbo, Red Beard, Dersu Uzala, Kagemusha, Ran), would never top this one. Throughout his life, Kurosawa kept confirming his status as perhaps the greatest director ever. If so, Seven Samurai is the ultimate proof of that truth. One of the very best films ever made and personal all-time favorite. 207 of 247 people found this review helpful. Was this review helpful to you?